With the opening of revamped Century Square, the residents of Tampines will be glad to have more dining options in the neighbourhood. 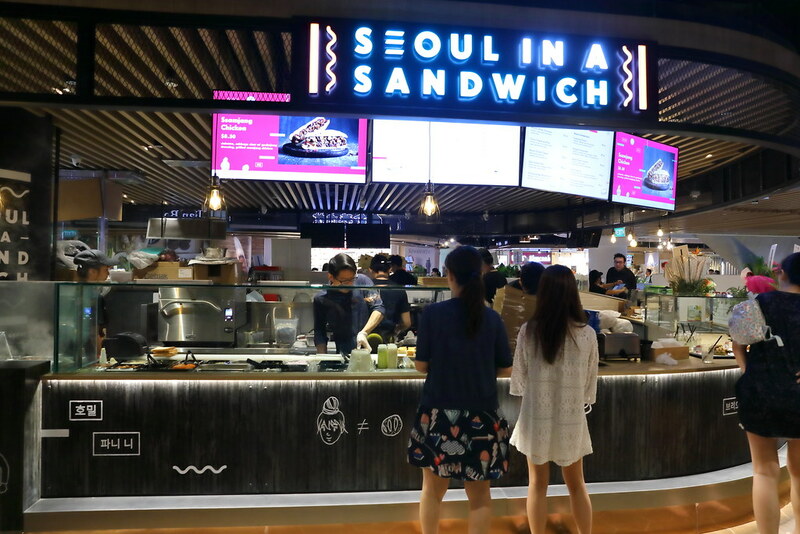 One of the newest concept to open at the basement of Century Square is Seoul In A Sandwich. It is a takeaway kisok offering a blend of Western breads with Korean food. 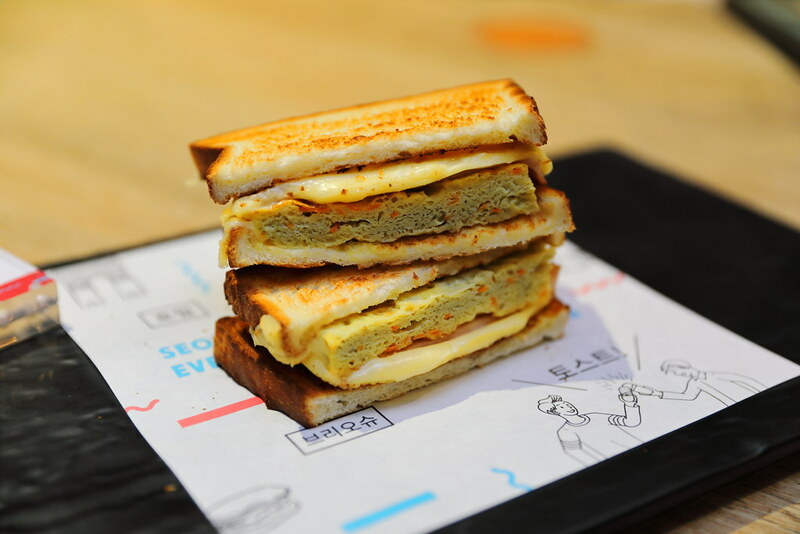 If you have heard of the popular Isaac Toast in the Korean, then you will not be unfamiliar the Seoul Street Toast ($6.50). Probably inspired by the isacc toast, the toasted white bread is sandwiched with onion cabbage omelette, chicken ham and sliced cheese. Bite into it and you will be surprised how wonderfully the different components come together for a hearty breakfast. To be frank I am not a sandwich person as I find them boring. I am glad that Seoul In A Sandwich has brought something exciting to the table such as the Bulgogi Cheesesteak ($8.50). 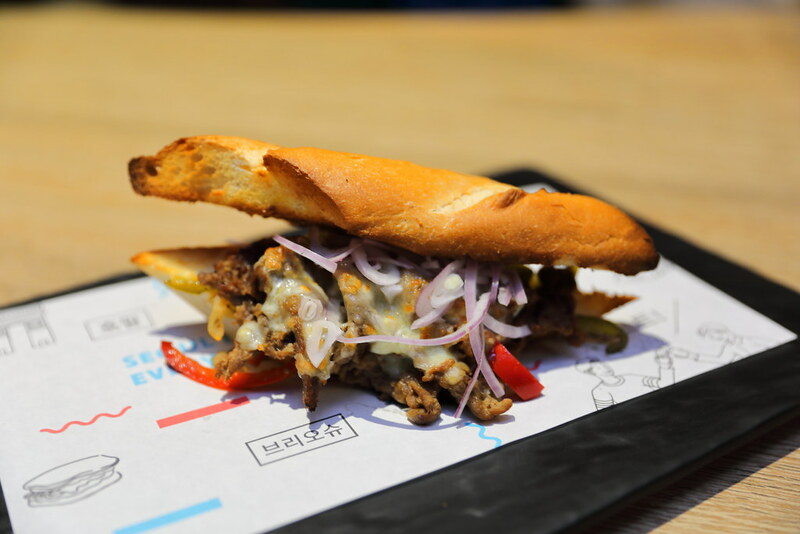 Flavourful grilled bulgogi beef, with sauteed onions, peppers and melted cheddar and mozzarella mix are sandwiched between two crispy buttered baguette. 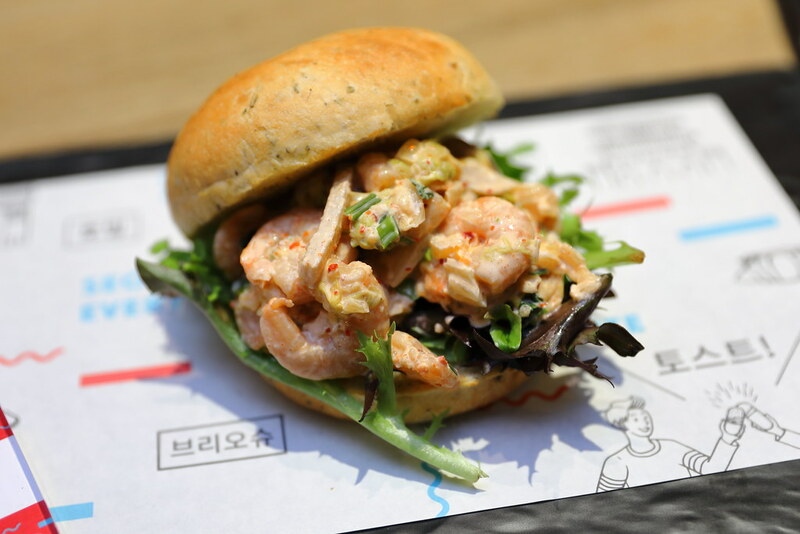 The Kimchi Prawn Cocktail ($7.50) is another unusual combination of toasted buttered focaccia stuffed with crunchy Asian pear, chopped kimchi, prawn cocktail and mesclun salad. The flavours are rich with a hint of spiciness. However I thought the loose prawn cocktail is a bit difficult to handle, it can get a bit messy eating it. The favourite among the group is the Army Stew-ich ($8.50). 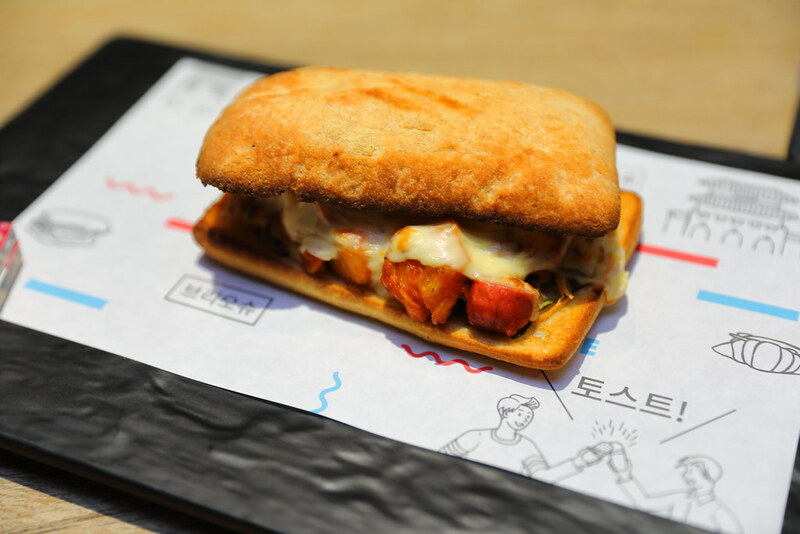 Who would have image bringing the popular Korea dish - Army Stew into a sandwich. 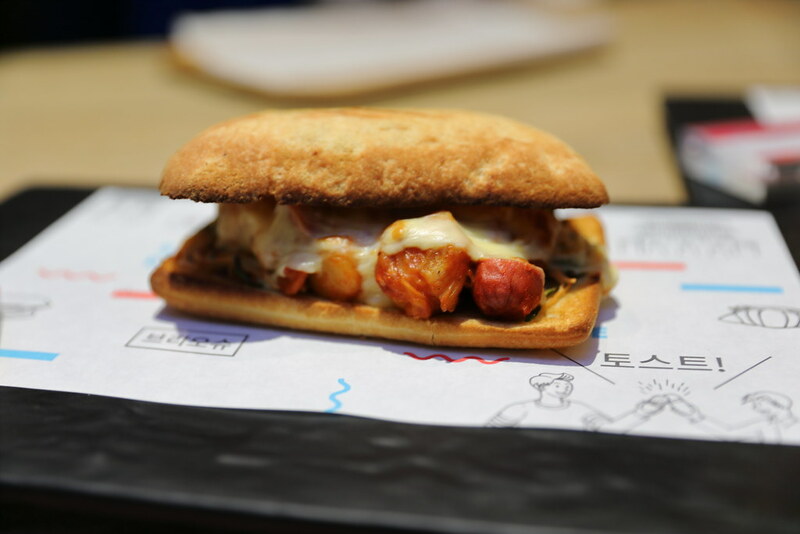 Between the toasted ciabatta, you can find tteokbokki, chicken sausage, chicken spam, sliced cheese, daikon slaw, gochuang dressing, melted cheddar and mozzarella mix. You just need to try it to know how good it is. Besides the sandwiches that I have tired, there are others such as Matcha White Chocolate, Ssamjang Chicken, Kimchi Grilled Cheese and more. The best thing is that they are all under $10 and the cheapest is only $3.50.